The Wedding Photographers Network - every photographer now has a profile page where they can post images, videos, join groups, add a feed from their twitter account or blog. 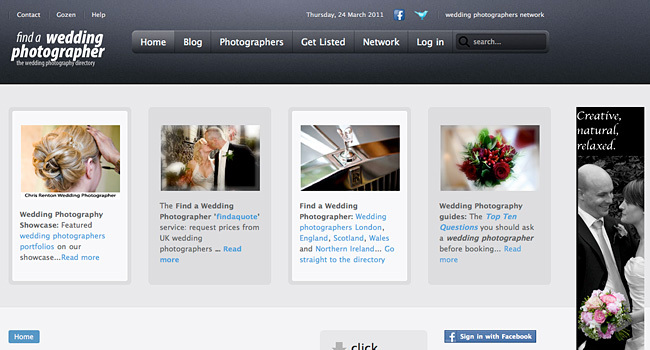 Wedding Photography Answers: post questions and answer wedding photography questions. Also an option for brides to post late availability requests. We think the new site is great, but with any site upgrade this big there will be teething problems. As ever we would appreciate any feedback and suggestions on further improvements.